Every child in Scotland is entitled to 2 hours of PE per week. At Murrayburn we ensure that this is a reality by employing a full time PE Specialist. 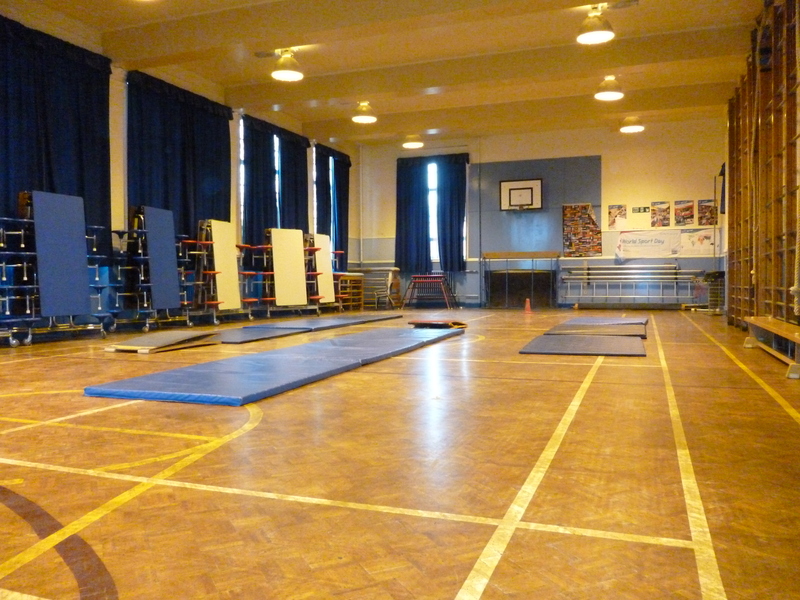 Our PE lessons use the School House Colours system. All pupils are assigned to a House, with each house having its own colour. This helps the children identify and take pride in their House. Please bear this in mind when buying PE kit for your child. T-shirt – This must be in the appropriate house colour. Black shorts – Shorts are available from most supermarkets including ASDA and Decathlon sports. Some girls prefer to wear knee length leggings. Black gym shoes – Ensure that you buy only gym rubbers. Training shoes are not suitable for indoor activities such as dance, drama and carpet time. If you prefer the School can provide gym kit, Shorts, T-shirt, Gym shoes and Gym bag for a discounted price, through Gilmore Sport. Please contact the School Office for an order form. Jewellery – For Health & Safety reasons no jewellery is permitted. Labelling – Please ensure that all items of clothing are clearly labelled with your child’s name. Hygiene – PE kit should be left in school and will be returned home for cleaning at the end of each term or holiday break. Parents may request more frequent returns with their class teacher. Gym shoes are required in school every day.